Home Brexit A Tale of two Speeches! “Labour’s new Brexit referendum would not offer option to remain in EU”, says John McDonnell. 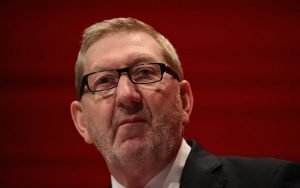 The Unite general secretary said, “including the option could push Labour voters to the Tories”. It does not take a genius to see that both these statements are forward thinking and would place Labour has the frontrunner in any General election. While not endorsing overturning the referendum Labour would be allowing the people if it came to the crunch a real referendum on the deal. Not the cynical attempt that will end up re-polarising divisions, divisions, that Mandelson’s People’s vote wants. The real truth is Labour cannot call any referendum! But by leaving a referendum on the deal and the deal only it could be if all offer options fail a tool to leverage the Tories into a position more appealing to the Labour Party. By removing the option to remain in the EU from any mythical second referendum it would be more acceptable to Tory rebels and an easier sell to the nation or more specifically to the 17.4 million who voted to leave the EU. Labour seemed to have squared the circle but now Keir Starmer and his EU before party loyalty have broken the fine line. Starmer may have got applause at the Labour conference that applause did not echo in Labour leave supporting constituencies. His insistence that remainers should be on a new referendum ballot, remember it is a fictional ballot that Labour has no power to implement. 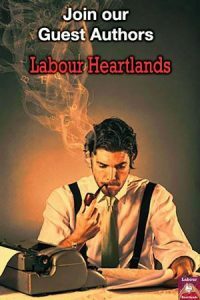 It as caused outrage in leave constituencies in the Labour Heartlands. Roving news teams round areas like Barnsley have interviewed local people who are again expressing their feelings of being betrayed. This short statement by Starmer is exactly the reason the out of touch Westminster MP’s are losing support. 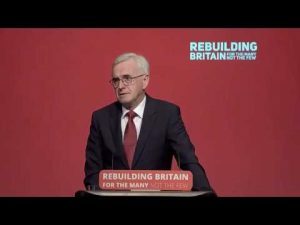 He cast aside one of the most inspiring speeches of the conference made by John McDonnell one that spoke to the working class and address the real socialist movement of today by turning around and saying their vote to leave the EU did not matter that their aspirations of a better way were wrong that the hope of change is now the domain of the status quo. A. Keir Starmer’s conference speech! How to lose an election! By Keir Starmer! AKA How to position yourself for Party Leader on an unattainable promise. Previous articleJohn McDonnell The Red Meat of a Socialist Manifesto. Next articleKeir Starmer just broke the Labour Party.